Marketplace Event Manager Module for Magento 2 : Marketplace Event Manager For Magento 2 is a superb module which is used to create Event ticket for Movies, Seminar, Theater, etc along with the Event venue and Event terms and Condition. The seller, as well as the admin, can create events products and it is as simple as adding products in the Magento 2 Marketplace. This module is a boon for the sellers as it caters their requirement easily and this module is very easy to use. Marketplace Event Manager Module for Magento 2 : Marketplace Event Manager For Magento 2 is a superb module which is used to create Event ticket for Movies, Seminar, Theater, etc along with the Event venue and Event terms and Condition. The seller, as well as the admin, can create events products and it is as simple as adding products in the Magento2 Marketplace. This module is a boon for the sellers as it caters their requirement easily and this module is very easy to use. Note: Marketplace Event Manager module version 2.0.0 only works with the Magento 2 Marketplace Module version 2.0.4 and above. A new product type is added in Magento2 for the event products. Enter the global event prefix. 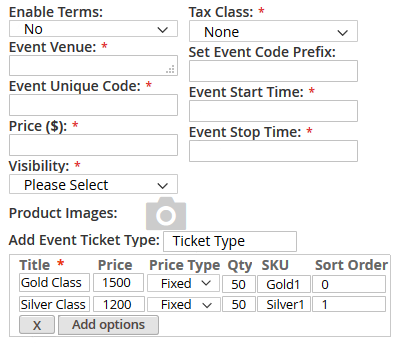 From the front end, seller can add new Event by entering the name, description, Event venue, Event start and end time, Event terms and conditions , adding various Event ticket types and adding images for the same. 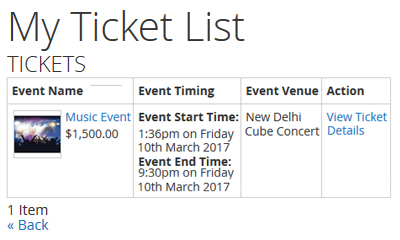 Seller can see all the added Event products under “My Event List” and even send reminder mails to his customers from the event list. 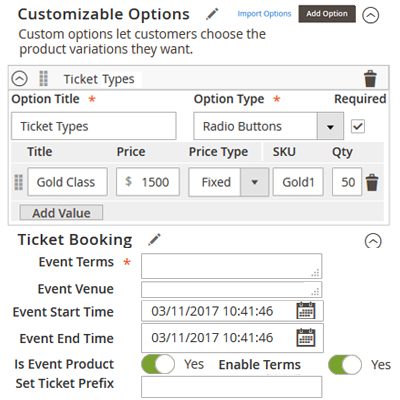 Seller can add new Event by entering the name, description, Event venue, Event terms and conditions, adding various Event ticket types. 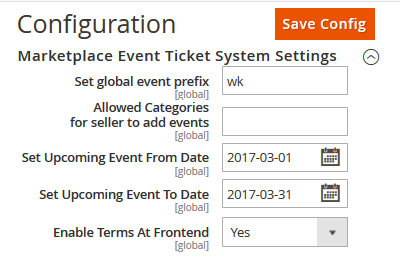 Did you buy Marketplace Event Manager Module for Magento 2? + Seller can send reminder to his customers who have purchased the tickets .